Imagine you are a celestial traveler powering through the blinding lights at the end of the tunnel into the next world, crossing barriers of space and time without fear. Interdimensional shamanic sludge rockers Forming the Void are here to conjure an ecstatic trip of atmospheric wonder and immerse you in waves of psychedelia. Topping the August Doom Charts, their fourth effort ‘Rift’ evokes the progressive and heavy tendencies of Mastodon and Torche, the psychedelic and soaring melodies of Pink Floyd, and rolling approach of Soundgarden. Swamp mud stuck to their feet as they trudge from South Central Louisiana, Forming the Void aren’t afraid to slow things to a crawl. 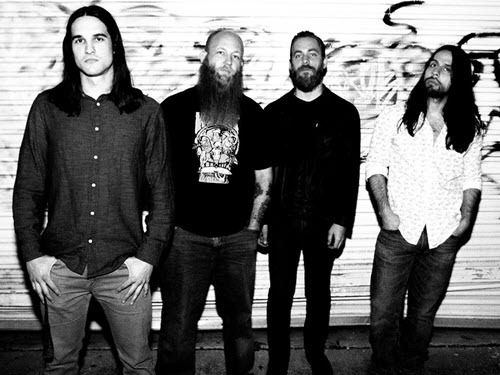 Their otherworldly sound has earned them spots on large festivals such as Psycho Las Vegas, Denver’s Electric Funeral Fest, EndHipEndIt, Stoner Daze and Stoner Jam at SXSW, and Descendants of Crom. Transcend through space and time with Forming the Void as they traverse the cosmic murk.